The Service Manuals and other Caterpillar literature give the procedure to check the clearance between the main bearing journals and main bearings with the crankshaft installed in the engine. In some Service Manuals, part of this procedure is to “Rotate crankshaft one complete revolution with lead wire installed.” This instruction is wrong. 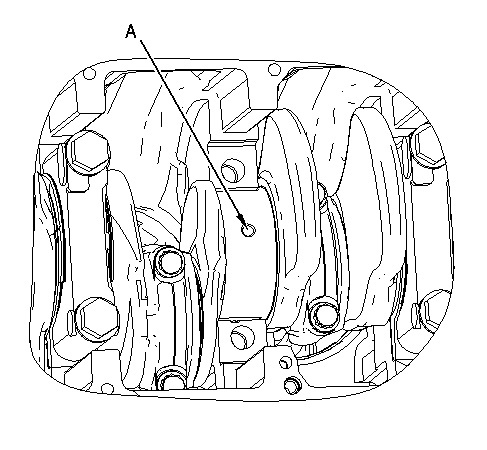 An accurate check of main bearing clearances can not be made if the crankshaft is rotated (or even moved). Also, most Service Manuals do not tell you to lift up the crankshaft when the engine is in the normal operating position. Unless the crankshaft is lifted, the lead wire will be made too flat by the weight of the crankshaft and cannot give you a correct measurement of main bearing clearance. 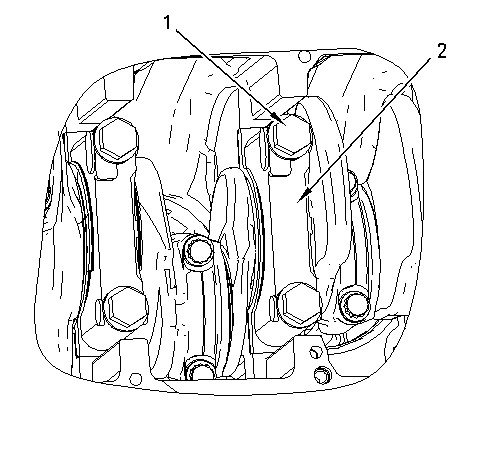 NOTE: When the bearing clearance is checked and the engine is in its normal operating position, such as in the vehicle, the crankshaft will have to be lifted up with a force equal to the weight of the crankshaft and held against the upper halves of the main bearings to get a correct measurement with the wire. The wire will not hold the weight of the crankshaft and give a correct indication. If the engine is in position on its side, such as on an engine stand, it is not necessary to hold the crankshaft up. Do not turn crankshaft when lead wire is in position to check clearance. If lead wire is not available, PLASTIGAGE can be used to check bearing clearance. 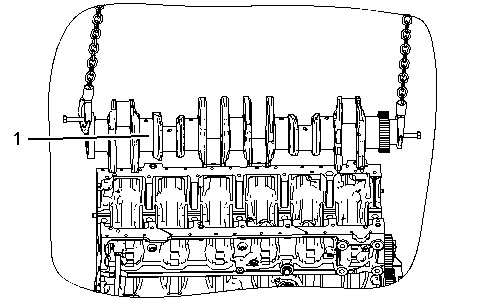 Write a note in the Service Manual engine modules in the disassembly and assembly sections under crankshaft that makes reference to this Engine News.